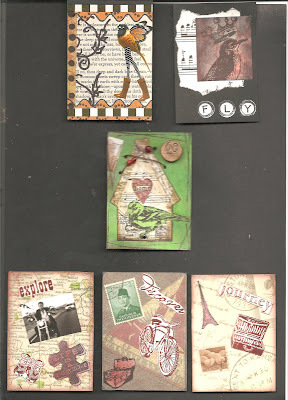 These gorgeous ATCs are all recently received swaps I've taken part in. Top left & right are from ARTic Blonde Yvonne - our 'bird' swap. Centre - from Jo at Fiddlesnips - our 'home' swap. Bottom Row from Jaqi at Scrapbookinginmysleep - our 'destination' swap. I'm a big fan of all these artists work and they are all lovely people. I have been lucky enough to build quite a collection and its ongoing! Oh Joy! I won a set of the delightful Penny at the Linen Shelf's altered matchboxes from the swap she organised recently. I just cannot wait to see them up close and personal. What a treat! 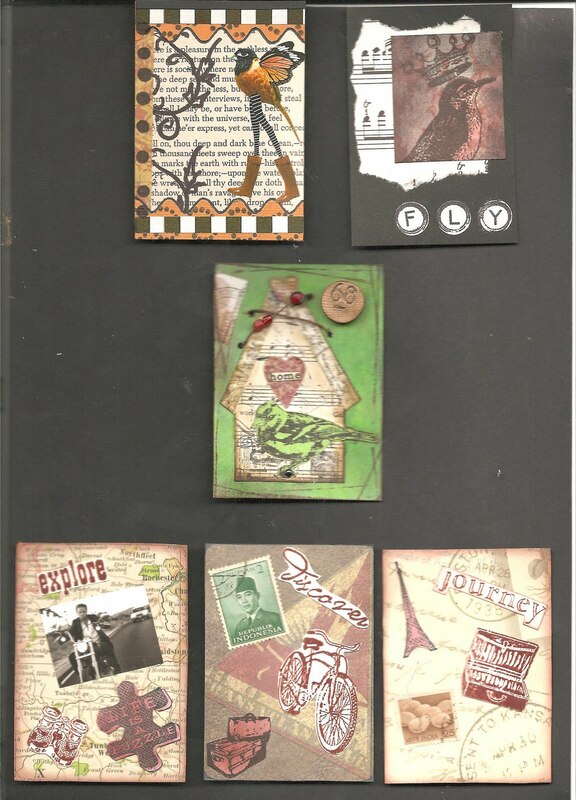 Some great ATCs there - it's great getting swaps back, isn't it? Brill news about the matchboxes, too!